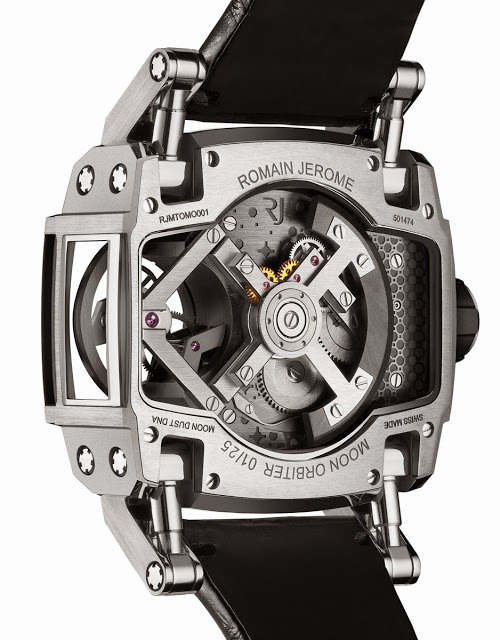 The latest addition to the Romain Jerome Moon-DNA collection, the Moon Orbiter is a flying tourbillon with a tiny bit of alloy from the Apollo 11 spacecraft as well as touch of moon dust. 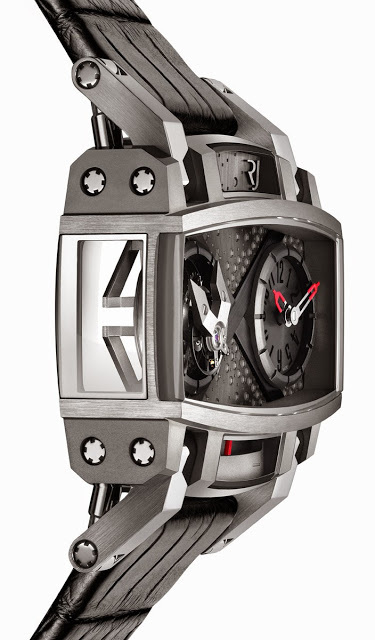 Romain Jerome’s second intergalactic timepiece after the warmly received and well priced Spacecraft is the Moon Orbiter flying tourbillon. 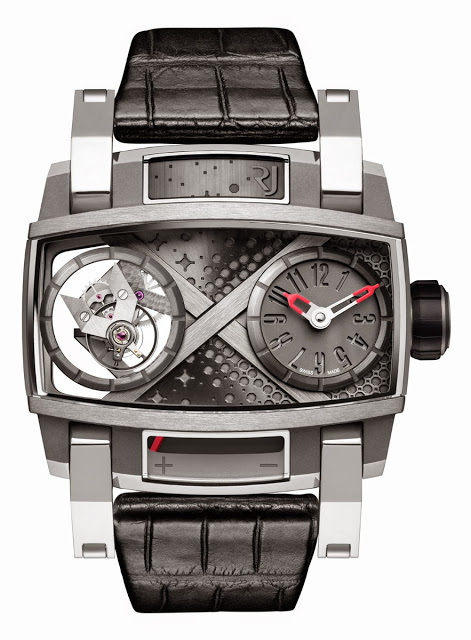 Made by La Joux-Perret, the automatic movement has a the rocket-shaped tourbillon carriage on the left of the case, and the time display at right. And at the bottom is the indicator for the 42 hour power reserve. At 48.5 mm wide and 44.5 mm, the case is extremely large, but thanks to the lugs mounted on four pneumatic cylinders it clings closely to the wrist. Fitted with five sapphire crystals revealing all of the movement and dial, the case is steel with mixed with alloy from the Apollo 11 spacecraft. 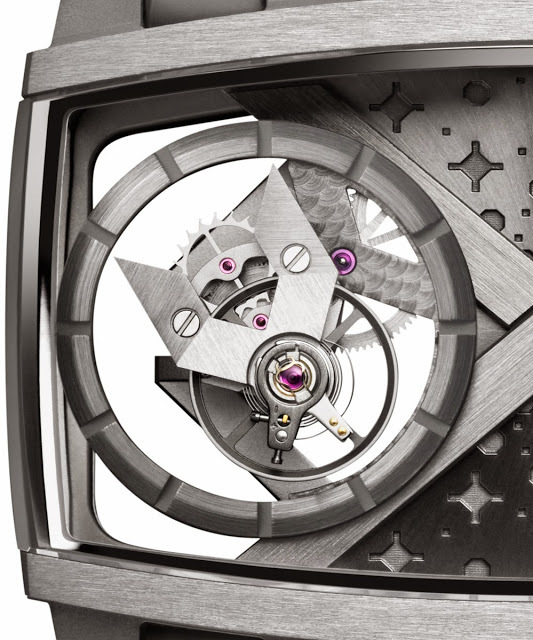 And the dial is made from alloy impregnated with moon dust, then engraved with a cosmos-inspired motif. The same decoration extends to the base plate of the movement visible from the back of the watch. The Moon Orbiter is a limited edition of 25 pieces, priced at US$115,000 or €99,000, excluding taxes.